Antoine Griezmann scored twice and Kevin Gameiro added another as Atletico Madrid moved into position to fight for a Champions League spot. With veteran striker Fernando Torres watching his team play just three days after collapsing on the field, Atletico Madrid comfortably defeated Valencia 3-0 to regain fourth place in the Spanish league on Sunday. Antoine Griezmann scored a goal in each half and Kevin Gameiro added another as Atletico rebounded from two winless games and again moved into position to fight for a Champions League spot. It was Atletico’s first game since Torres dropped to the ground unconscious after going up for a challenge and then hitting his head on the ground late in the match at Deportivo La Coruna on Thursday. Torres was motionless for several moments at the Riazor Stadium in La Coruna. The 32-year-old forward was immediately hospitalized, but escaped any serious head or spine injuries and was released a day later. 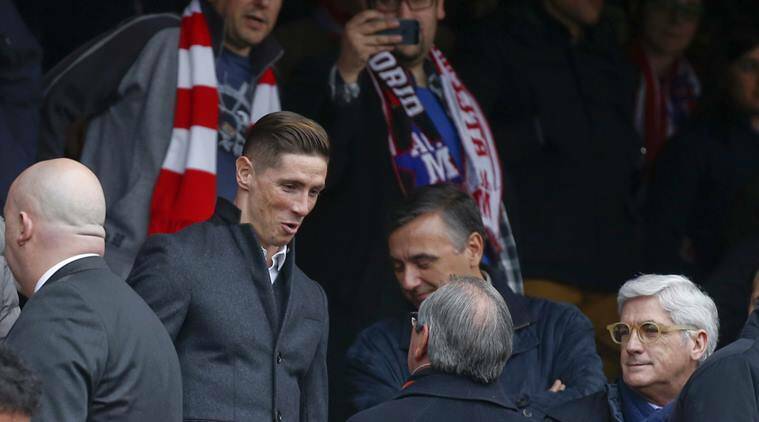 Torres stood up and applauded the crowd after it loudly chanted his name at the Vicente Calderon Stadium. Torres, who won two European Championships and one World Cup with Spain, is expected to be cleared to return to training this week. 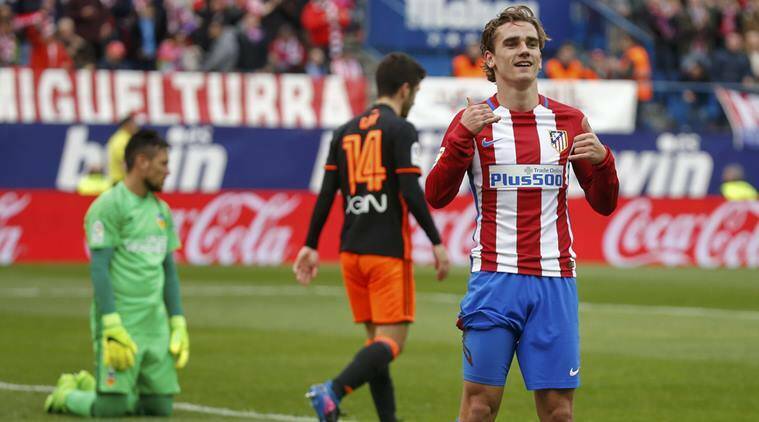 Griezmann scored in the 10th and 83rd minutes, while Gameiro got on the board in the 48th. Atletico was coming off a 2-1 home loss to Barcelona and a 1-1 draw at Deportivo, results that virtually ended the team’s title chances. It trails leader Barcelona by 11 points after 26 matches, but it cut the gap to third-placed Sevilla to six points. Sevilla plays at Alaves on Monday. The top three teams automatically qualify for the Champions League next season, while the fourth-placed club has to go through a playoff. Diego Simeone’s team has a 4-2 first-leg lead over Bayer Leverkusen in the Round of 16 of this year’s Champions League. Barcelona and second-placed Madrid won their league matches on Saturday. Madrid is one point behind the Catalan club but has a game in hand at Celta Vigo. Valencia is 13th, safely away from the relegation zone. Deportivo La Coruna defeated Sporting Gijon in a game between relegation-threatened teams. Pedro Mosquera scored the winner with a header just before halftime, helping Deportivo snap an eight-game winless streak and open a four-point gap on the first team in the relegation zone, Granada. Sporting, winless in four games, dropped to 19th _ two points behind Granada. It was the first win for new Deportivo coach Pepe Mel, who made his debut in the team’s 1-1 home draw against Atletico last week.